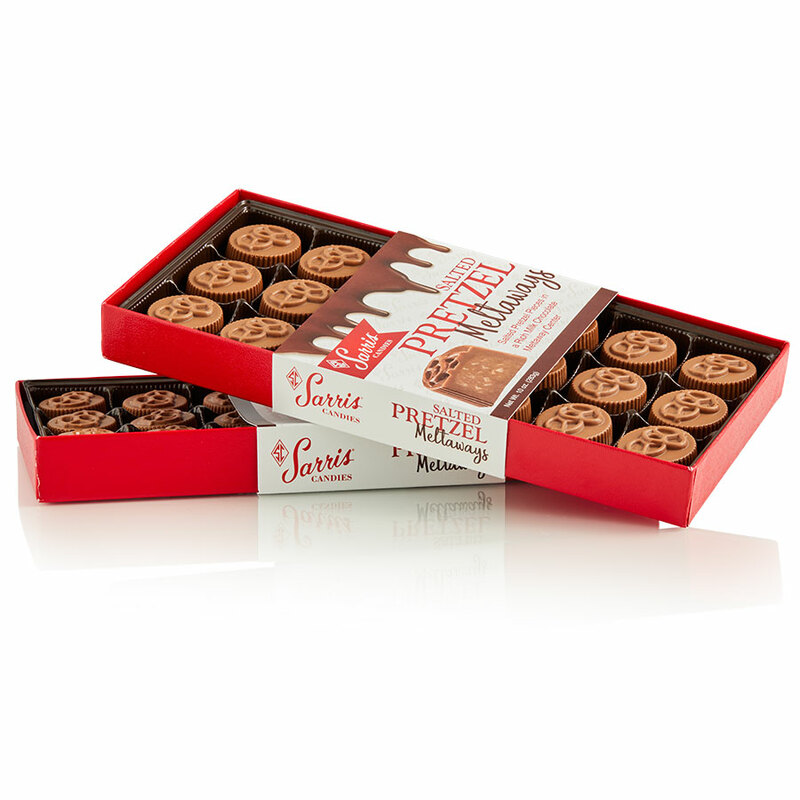 Our Salted Pretzel Meltaways bring a new meaning to salty and sweet. We take crushed salted pretzel pieces, stir them into our rich milk chocolate meltaway center and pour them into a final layer of our decadent milk chocolate. We put a pretzel design on top so you’ll never have to guess what’s inside!